Shaving soap "Activación sólida" 80ml. This excellent shaving soap, suitable for vegans, is very creamy, whipping up a thick lather. A very practical soap for travelling. 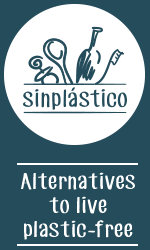 It is the healthy and organic alternative to shaving gels and foams because it does not generate plastic waste and is 100% natural soap. 100% natural shaving soap: Handmade soap made from natural and organic ingredients: vegetable oils (olive oil and coconut). Very creamy and rich lather. No fragrance, colourants or preservatives. It leaves you a very nice soft clean skin feeling. Thanks to the plant extracts it has a soothing and healing action. Nourishing action thanks to the chosen oils. 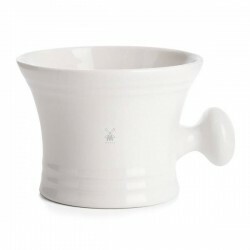 It comes in a tin with screw cap that makes it very practical and comfortable when traveling. Rub vigorously the soap with the moistened brush in order to whip up a thick lather. Apply evenly over the, previously moistened, area to be shaved. External use: Avoid contact with eyes and mucous membranes. In case of contact with eyes, rinse the area with water. Ingredients: POTASSIUM STEARATE, POTASSIUM COCOATE*, POTASSIUM OLEATE*, AQUA, GLYCERIN*. *Ingredients are of plant and organic origin. Organic shaving oil Matarrania 100ml. 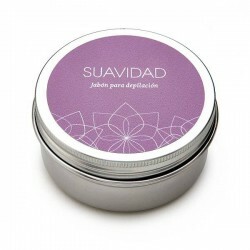 Shaving & Hair Removal Soap "Suavidad" 80ml. Sulphur natural soap bar 140gr.